While bottled water has a “healthy,” “pure” image, it is less regulated than tap water and significantly more expensive. Tap water is stored in reservoirs and carried into homes and offices through pipes; it is managed by local municipalities. 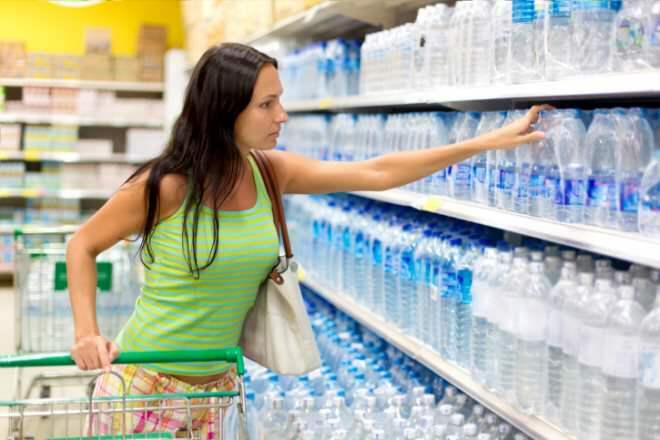 Bottled water is packaged in plastic bottles and sold in stores. It includes water used in water coolers. Water from natural springs or public sources goes through a purification process and is then bottled and distributed to retail stores. Water is delivered through a system of pipes, pumps and purification systems to homes and buildings in the developed and developing world. get from store Tap water is cheaper than mineral or bottled water. In some countries it is not consumed due to fears of contamination. Sometimes "enhanced" bottled water contains added minerals or flavors. Although fluoride or chlorine are added for purification purposes, it may also contain various types of natural but relatively harmless contaminants. added minerals for taste Tap water is part of the indoor plumbing system where water is delivered to individual taps. 5.2 Flint, Michigan and Other Areas in the U.S. 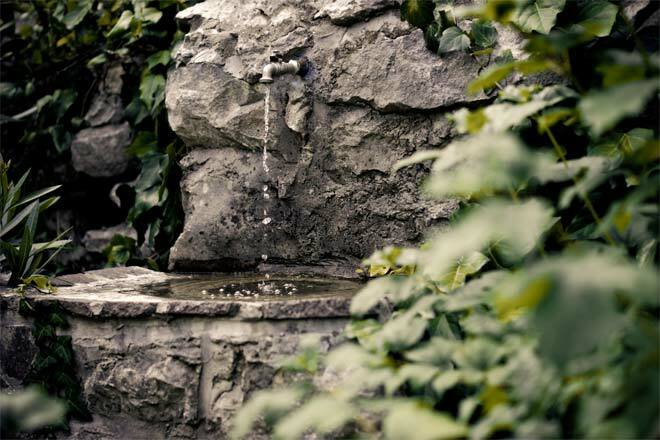 Although some bottled water comes from springs, more than 25% of bottled water comes from the municipal supply. Natural mineral water and spring water is bottled at the source and may not be subject to any processing except the introduction of carbon dioxide. However, some bottled water comes from other sources, including municipal supplies, and can be treated with UV light to kill bacteria, filtration, and ion exchange to get rid of excessive minerals. No residual disinfectant is included. Tap water, which can be hard or soft, goes through many stages of processing. First, all dirt and other particles are removed through coagulation. Alum and other chemicals are added to attract the dirt particles, which then sink to the bottom. The water then passed through filters and layers of sand, gravel and charcoal to remove even smaller particles. A small amount of chlorine is added to kill any bacteria or micro-organisms and placed in a closed tank or reservoir. It is then carried to homes through pipes. Water bottles are made from virgin petroleum, a fossil fuel, and fossil fuels are burned in order to fill and distribute the bottles. Some bottles need to be shipped internationally. According to Food and Water Watch, the plastic in these bottles needs up to 47 million gallons of oil per year to produce. According to the Container Recycling Institute, less than 20% of bottles are recycled, and bottled water produces up to 1.5 million tons of plastic waste each year. Costs vary depending on the state and brand, but bottled water can cost 1000 times more than tap water. Most municipal water costs less than 1 cent per gallon, while a bottle of water typically costs over $1 for 20 ounces. The Environmental Protection Agency regulates tap water, while the FDA regulates bottled water. However, FDA regulations do not cover water that is packaged and sold within the same state, and so 60 to 70% of bottled water, including water-cooler water, is fairly unregulated. Bottled water has to meet less strict regulations than tap water. This means that it can contain bacterial or chemical contaminants, including carcinogens, that exceed industry standards. A study by the NRDC found in 1999 that two brands were contaminated with phthalates, one exceeded EPA standards for tap water. Scientists have also suggested that plastic bottles may leak plastic into water when stored in hot or warm temperatures. Tap water must be inspected daily, and contains trace amounts of chlorine to kill bacteria. Microplastics were found in 93% of bottled water tested in a global study conducted by the non-profit Orb Media in 2018. Orb's 2017 tap water study and our current bottled water research used different methods to identify microplastic within globally sourced samples. Still, there is room to compare their results. For microplastic debris around 100 microns in size, about the diameter of a human hair, bottled water samples contained nearly twice as many pieces of microplastic per liter (10.4) than the tap water samples (4.45). Results from the study for specific brands of bottled water can be found here. Flint, Michigan and Other Areas in the U.S.
Water authorities across the US are systematically distorting water tests to downplay the amount of lead in samples. So while tap water is supposed to be regulated and safe, it is always possible —though unlikely— that your local water authority has been downplaying the levels of lead in the water supply. Another consideration is the piping in the house itself. While the water mains may have uncontaminated water, tap water could still be contaminated with toxins from plumbing in the house. It is not a bad idea to use a water test kit ($25 on Amazon) if you can afford it and if you have doubts about the quality of tap water in your house. In 2006, Americans drank 8 billion gallons of bottled water. Another study in 2010 suggested that people spend between $50 and $100 billion on bottled water each year. Much of bottled water's popularity comes from the perception that it tastes better. However, in blind taste tests, people cannot tell bottled water from tap water and, in some cases, prefer water from the tap. For a small scale experiment on this, see this video. only 47% of Americans say they're extremely or very confident about the safety of their drinking water, while 33% say they're moderately confident and 18% are not very confident or not at all. I'm not sure where people are getting info...here in N. VA a gallon of county water is $21.75....10.00 is the water & 11.75 is the service fees. A gallon of spring water from 7-11 is $7.80 making bottled water MUCH less costly, but without the convenience. i just know that about 6 years ago (2007?) the tap water started to taste soooo bad that I was forced to get a brita! I would gag first thing in the morning because of the chlorine...why? Tap water is gross. It is filled with many different pollutants and chemicals including fluoride. Seriously go to Home Depot and grab a test kit and have your water tested they do it for free. I agree with the user about paying too much for a bottle of water and also with the gentleman's statement about the plastic bottles and the environment. There are alternatives to paying high prices for clean water as well as plastic alternatives. I myself stick with distilled water. It tastes great to me and it's much better for mens urinary tract health. bottled water all the way man !!!!!!!! !